Hotel Soperga stands out Among Milan’s 3-star hotels due to its central location, within walking distance of the shopping on Corso Buenos Aires and a few hundred meters from the Central Station and the Metro stop. Also convenient for reaching the Navigli area, the Fair and Piazza Duomo. The Hotel Soperga is situated in a key strategic position: 300 meters from the Central Station and very close to the city center. All the most interesting places from the artistic, cultural and business viewpoint of Milan are right on hand. In the Main Station, a short walk from the Hotel, there are the stations for the Metropolitan Yellow and Green lines, which in about four minutes, which takes in about 4 minutes takes you right to the historical city center: the Yellow Line Duomo and the Green line on the Navigli, the heart of Milanese Night Life. 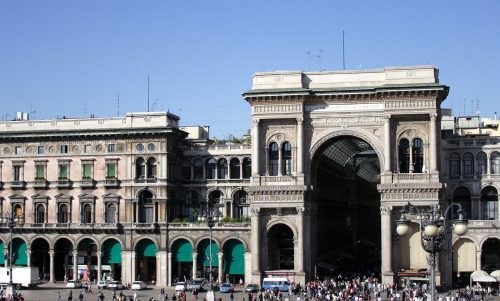 This elegant Milan Hotel is found to be close to Corso Buenos Aires, one of the best places for luxury goods or not, and from the red line stop on the Metropolitan (Loreto) which in 15 minutes will take you directly to the Fiera. From the Turin Motorway, Laghi (Lakes) or Switzerland: take the exit to Milano Viale Zara (towards Venice), from here Viale Fulvio Testi, which you take towards the City; Fulvio Testi changes name to Viale Zara, which you follow almost to the end, turning left into Viale Nazario Suaro (which is found at the level of a Metropolitan station, which is easy to see); continue along this street, going straight into viale Sondrio and then Via Tonale, and going under the tunnel below the Main Station: Via Soperga is the second on the right, where at number 24 you will find the Hotel. The Hotel Soperga is reached in a few minutes from the Main Station: from Piazza Luigi di Savoia (on the right side of the station) go directly into Via Soperga, where at number 24 you find the Hotel. From Milano Malpensa you have several ways to reach the Hotel Soperga With a private taxi you will get to the Hotel Soperga: - By train with the Malpensa Express you will arrive at Cadorna Station. From here you can take a taxi, the number 2 Metropolitan Line (towards Gessate or Cologno), and get off at the Main Station. The Hotel Soperga is located 300 meters from the Station, at number 24 Via Soperga; - By bus with the Malpensa Express Bus and the Malpensa Shuttle Air Pullmann you will arrive directly at the Main Station. From there walk 300 meters to reach Via Soperga, where you will find number 24 and the Hotel. From Milano “Linate” Airport you can reach the Hotel Soperga with a private taxi, or by a Star Fly Bus: which will take you to the Main Station in about 20 minutes to the Main Station. From there go 300 meters by foot to reach Via Soperga, where you will find the Hotel at number 24.